Newington proudly boasts a large collaborative effort between students, staff and groundsmen who put sustainability at the forefront of how they consider new projects for the College. Did you know there are currently 341 solar panels on top of the Taylor Sports Centre with another 80 on the Concordia Centre across the road? Property Manager Mr Steve Bowden and Head of Corporate Services, Mr Peter Yates both play practical and influential roles in putting Sustainability on the agenda when it comes to devising new building schemes for the College. 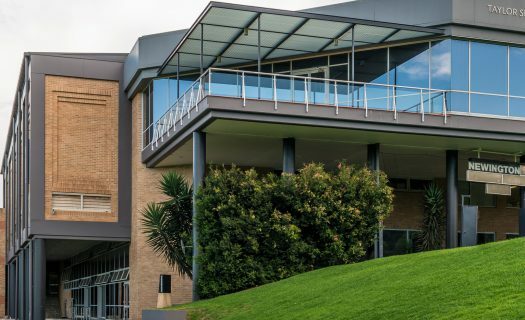 Over the past two years the preparatory school has implemented a new, state-of-the-art air conditioning system which has significantly reduced the school’s power consumption. And with reduced power consumption comes better (financial) rates for the College. Over the past two years the College has already saved over $340,000 at Wyvern. On the Stanmore campus there are currently 341 solar panels situated on top of the Taylor Sports Centre with another 80 on the Concordia Centre. Classrooms are double glazed for insulation and noise reduction and LED lights are constantly being replaced and upgraded to save on power usage. With technology being an increasingly integrated part of the College, the ability to track and assess electricity usage and solar generation has become a standard procedure. Mr Yates said, “electricity usage is tracked so we can get as much detail as we need about how many kilowatts per hour we’re using and when the peak times are. Recycling has always been at the forefront of sustainable discussion at Newington. Paper usage at the College has significantly decreased as a result of the increase in technology tools utilised by students and staff including SPACES, Canvas and the Online Diary. Over at our Stanmore Prep School, the Kitchen Garden Club made up of volunteer boys have been busy growing fruits, vegetables, spices and herbs. Towards the end of 2015, our junior gardeners had the unique opportunity to work with Pyrmont Ultimo Landcare Project to help restore bushland by Wentworth Park.